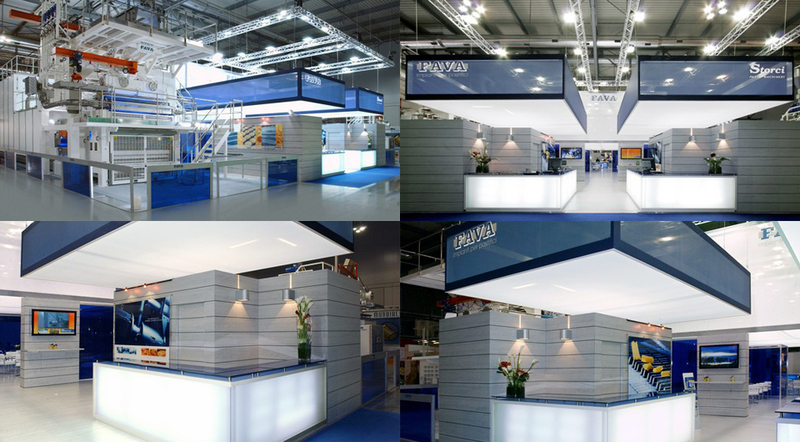 Ipack-Ima 2009 trade show proved very successful for our company, as a matter of fact it exceeded all of our expectations since the attendance of international trade operators to our stand was very active and attentive. Our stand, covering an area of over 600 sq. meters, shared, as per the last show, with our associated company, Storci, was visited by a great number of both Italian and international pasta factories representatives, each showing ever increasing interest. Proof of this is the high number of ongoing pasta line specific projects, even during this period of financial difficulty, therefore confirming the buoyant condition of our sector. The requests received did not only concern the traditional semolina dry pasta, to a great extent they also concerned specialty pastas of all types, produced with different raw materials. This will enable us to gain an experience also useful for the development of technologies for the traditional dry pastas or cous cous, the leading products of our company. Many innovations presented by Fava at the Show. 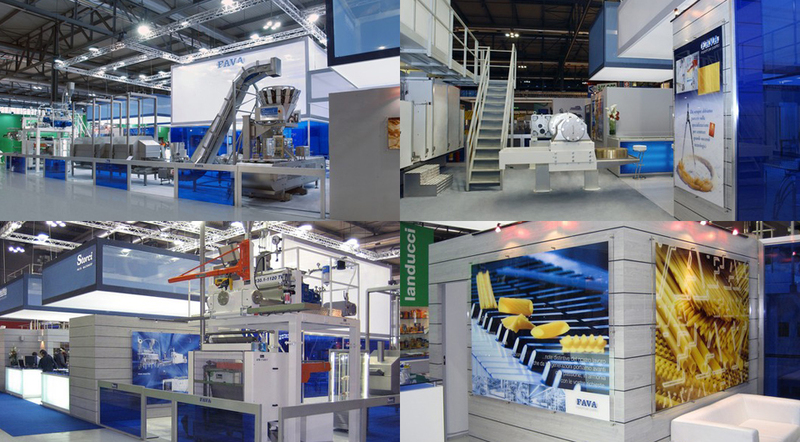 A 4.300 Kg/h long pasta line was presented by Fava at its exhibition area, much appreciated by all of its customers who had the privilege of being able to assess the quality of its realization, its geometry, allowing great flexibility in the production management, and its technology, which ensures to obtain a pasta of high quality. The press was provided with a stabilization belt, which, together with the Premix, are fundamental elements of Fava's technology. Today, it is available with mixing tanks under total vacuum or with the traditional type ones, based on the customer's requirements. Further to the line above, Fava also showed an extraction unit with a high efficiency screw for a production of 3000 Kg/h. This innovation in the screws results in an output increase of 15% while working at the same speed. Interesting innovations in the management and control areas. A new software, M.E.S., was presented, specially created to meet the Standards related to the product traceability in the food sector, its main function is the filing and inquiry of the lines working data. 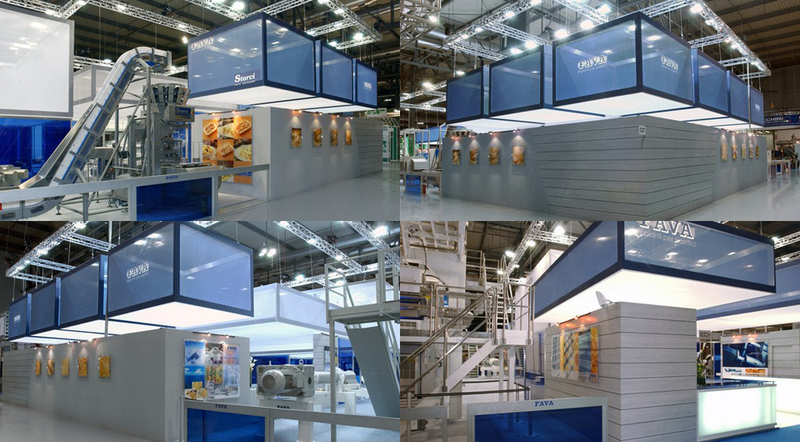 In the Storci exhibition area, it was possible to view a system for the production of ready-made meals. Storci also showed an Omnia press for small semi-industrial productions, already extensively tested with success, and a range of special machines for the production of fresh pasta specialties. As regards fresh pasta scraps, today a new scraps recovery system, called REC, is available , enabling to grind and reintroduce them in the production cycle, resulting in a sensible reduction in the loss of product and waste-related costs. During the trade show period, many customers had the opportunity of visiting a well known pasta factory and actually see in action long and short pasta production lines, and of directly asking any question they had on the production plants. 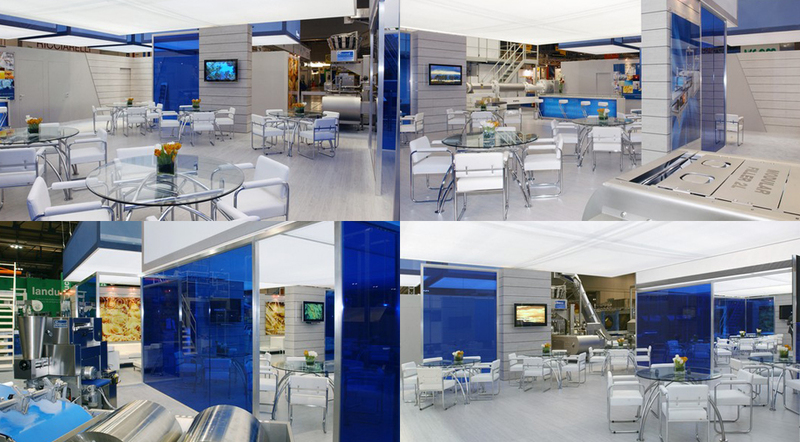 Immediately after the show, we experienced a series of visits at Fava and our associated company Storci, during which the issues presented at the Show were further discussed. At Storci, a system totally made of stainless steel was being assembled, consisting of two presses acquired by a well known American customer, who produces pasta for ready-made meals. Fava confirms itself as a very flexible company open to the needs and special requests of its customers and of meeting them with an excellent engineering service capable of solving any issue it is faced with and of realizing an ad hoc production line for each particular need. There is great activity in our sector, and changes are taking place concerning both product innovation and drying technology. As regards the established market, like, for instance, the Italian one, the trend is to research a way to carry out improvements to the pasta based on the relation between nutrition and health. In this field, the studies carried out on the positive role played on human health by the bioactive compounds found in wheat grains, antioxidants and fiber, have enabled to develop concepts such as the whole grain, and evolve towards different function specific foods understood as essential elements for our well-being. For us, pasta equipment manufacturers, this means having to deal with mixed, non cohesive raw materials. For this reason, it will be increasingly important to implement innovative technologies for the preparation of the dough, capable of promoting an equal absorption of water in heterogeneous substances and generate a uniform dough suitable for producing great looking pasta of high quality. In countries where pasta is not part of their traditional diet, and where, often, only one single shape is produced, and the raw materials used are often of a low protein content, we are experiencing an increasing demand for product improvement solutions. For them, the technology used in the pasta making and drying processes plays a fundamental role, as it is with this last one that it is possible, partly, to condition the pasta quality during cooking, its appearance, and the product mechanical resistance. The trend is to continue treating pasta at high temperatures, and the technological cycles and machines geometry are evolving to meet these needs. This Show has given us some indications on the trend of our sector, which remains healthy, showing a good level of activity, certainly partly due to the recent financial climate, since pasta, our families staple diet, is strongly associated with money saving and nutrition, but it is not just that. Politics at international level tend to promote the growth of our sector due to the fact that, today, pasta is recognised as a fundamental element for a correct and healthy nutrition, it's economical and has exceptional preservation qualities. Humanitarian associations, such as FAO or the ones promoting the development of industrial relations between so-called third world countries, such as UNIDO, have acknowledged it. As a matter of fact, third world countries food problem is, for example, strongly connected to the production of huge quantities of food with the essential nutritional and growth related specifications, obtainable at low cost and easily preserved. Pasta and Cous Cous obtained by the processing of semolina totally meet these three basic needs, and Fava is well placed in this specific field, in its role of recognised leader in its sector, with over 70 years of experience in the production of equipment and of turnkey plants for the production of the above products. Moreover, it was interesting to note that the events that took place during the Show were also related to these matters, they represented a good opportunity for further discussion on contemporary issues of great interest. An example of these, for the 2009 edition, was the international Conference: " More Technology, Safety & Quality, less world hunger", of which we were one of the sponsors , organized by Ipack-Ima in collaboration with Il Sole 24 ore and with a contribution from the Ministry of Economic Development and ICE, and with the support of the Ministry of Agriculture, Food and Forestry, of the Ministry of Economic Development and of the agencies of the United Nations FAO, WFP, UNIDO, IFAD. IPACK-IMA is without doubt a reference event for the presentation of technologies for the production of dry pasta, and even in the 2009 edition, FAVA attended with a significant show-case, aiming at meeting the expectations of all trade operators coming here from all over the world looking for the most competitive and updated solutions for the processing and packaging of pasta.